Are schoolchildren actually eating more fruits and vegetables under the new school lunch program? Apparently they are, according to a new study published Tuesday in the American Journal of Preventive Medicine. Children returning to school beginning in fall 2012 found some significant changes to their cafeteria menus: more fruits, vegetables, and whole grains. The healthier foods were the result of changes to the National School Lunch Program made under the Healthy, Hunger-Free Kids Act of 2010. But lack of enthusiasm about these new requirements soon surfaced. A few school districts even dropped out of the lunch program. However, the authors of this study say their research proves the opposite: “Contrary to media reports, these results suggest that the new school meal standards have improved students' overall diet quality. Legislation to weaken the standards is not warranted.”By tracking the foods that students selected to eat and how much of each type they subsequently threw away both before and after implementation of the new lunch standards, researchers determined that vegetable consumption increased by 0.17 cups/day among students choosing to eat vegetables, even though the percentage of students choosing vegetables remained unchanged at 68%. The percentage of students choosing fruits increased from 53% before the new standards to 76% afterwards, perhaps due to the new requirement that students take at least one fruit or vegetable. Because students discarded on average the same percentage of fruit in 2012 as in 2011, more fruit was consumed overall after the standards were implemented. “There was a fear that if you're forcing students to take the fruit, that they would take it and then throw it in the garbage, and that's not what we found. We found that, in fact, students were consuming the fruit,” says Juliana Cohen, a research fellow at the Harvard School of Public Health. Still, the amount of food wasted was high by any standard: 60-75% of vegetables and 40% of fruit was thrown away. “School food waste has always been a problem and it's good that this issue is gaining attention, but the solution is to focus on the school food quality and palatability, and the new school standards improve the diets of students. So efforts to weaken the standards may actually be detrimental to students' health,” says Cohen. 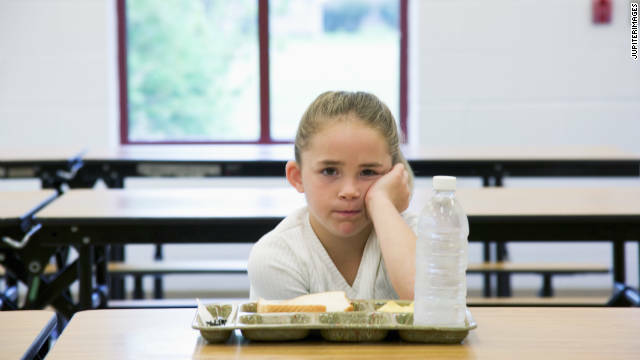 For the study, researchers analyzed meal selection and disposal among 5,936 students in a low-income, urban school district in Massachusetts for two days each in 2011 and 2012. Reblogged this on Mr. Feliz's Blog (Teacher Arturo). The fruits and veggies may be on the plate, but how many of them really eat it and not throw it away. Too many of my sons friends are in the throw it out category. School lunches? Give'em a doughnut and a cup of coffee and call it a win. Citations for the AJPM article? Or a link to the article, maybe? Schools should employ methods of making the vegetables taste better so that the kids will eat them. Kids don't really care about how nutritious the vegetables are, they just want good tasting food. Stir frying vegetables would be better tasting then serving cold salads or canned peas. that's a good content to read, thank you for sharing. you can even consider organiv fruits to get to know more about organic fruits.